Former Cleveland Cavaliers point guard Kyrie Irving has never been known to crash the boards, but in his last eight games with the Boston Celtics, he’s averaged 6.5 rebounds a game, well above his 3.6 career average. When asked about the recent uptick, Irving hearkened back to his days in the Wine and Gold, saying he was never expected to be active on the boards while with the Cavs. 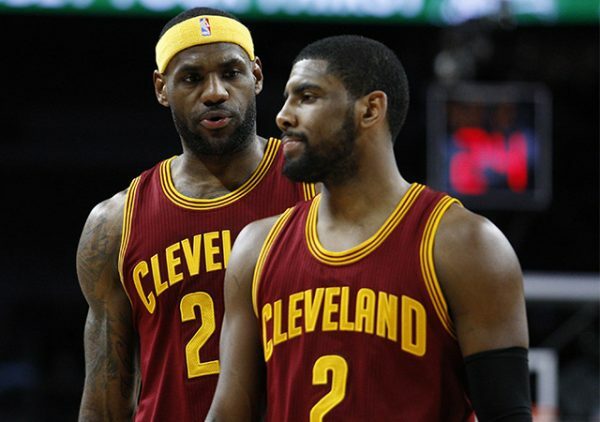 Kyrie on rebounding uptick this season: "I just wasn’t asked to do it a lot in Cleveland. Tristan was like an offensive rebound maniac and Bron was trying to get every rebound. I was with some thirsty guys for rebounding. And that’s OK, that’s their job and I fully support that." Irving is one of the hardest players to read in the NBA, and his words often have several meanings. It’s hard to ascertain if he is speaking highly of former teammates Tristan Thompson and LeBron James, or insinuating that they sought to pad their own stats. Either way, it’s interesting to see that Irving is recognizing growth in his game as he continues his career away from Cleveland. Earlier this season, the Celtics seemed like they were on the verge of a complete locker room meltdown with Irving at the center of it. While they have never been at risk of missing the playoffs throughout the 2018-19 season, it seemed as though a postseason implosion was likely. Things have turned around in the month of March, however, and the Celtics have won six of their last eight games. Irving has played a pivotal role in that successful stretch, and is currently averaging 22.5 points and 9.5 assists along with his 6.5 boards per game. While it’s a shame that Irving is no longer playing in Cleveland, it is fun to watch him continue to grow as a person and player. Now that the Cavs are no longer standing in their way, maybe the Celtics will actually manage to get out of the Eastern Conference and compete for their first NBA championship since 201o.